Something I have to say I am a little excited about is the talk of an app for your phone which will plot your route through GPS in the real world, which you will be able to download to create a track to play on. I love the sound of that and hopefully it won’t be long before it can be implemented. Be cool to do the school run or to drive to work in a Ferrari 288 GTO and not having to worry about the speed cameras.! The Mazda RX7 looks menacing with the Veilside kit, I love the front-end. I have 7 RX-7’s on GT5, especially like my RX-7 Type RS (FD) ’00 in brilliant black (602bhp).! The third generation of the RX-7, FD (with FD3S for Japan and JM1FD for the USA VIN), featured an updated body design. The 13B-REW was the first-ever mass-produced sequential twin-turbocharger system to export from Japan, boosting power to 252 hp in 1993 and finally 276 hp by the time production ended in Japan in 2002. The sequential twin turbocharged system was a very complex piece of engineering, developed with the aid of Hitachi and previously used on the domestic Cosmo series (JC Cosmo=90–95). The system was composed of two small turbochargers, one to provide boost at low RPM. The second unit was on standby until the upper half of the rpm range during full throttle acceleration. The first turbocharger provided 10 psi (0.7 bar) of boost from 1800 rpm, and the second turbocharger was activated at 4000 rpm and also provided 10 psi (0.7 bar). The changeover process occurred at 4500 rpm, 8 psi (0.6 bar), was smooth, and provided linear acceleration and a wide torque curve throughout the entire rev range. Handling in the FD was regarded as world-class, and it is still regarded as being one of the finest handling and the best balanced cars of all time. The continued use of the front-midship engine and drivetrain layout, combined with a 50:50 front-rear weight distribution ratio and low center of gravity, made the FD a very competent car at the limits. 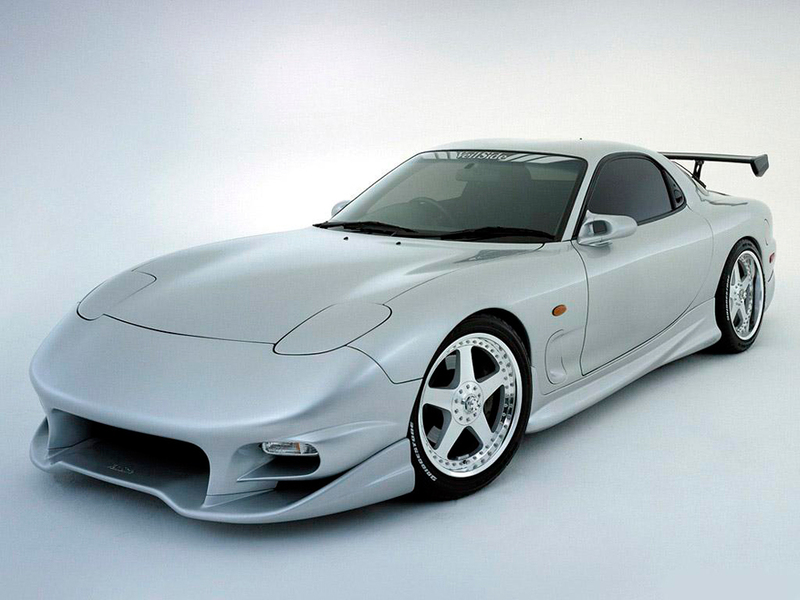 Australia had a special high-performance version of the RX-7 in 1995, dubbed the RX-7 SP. 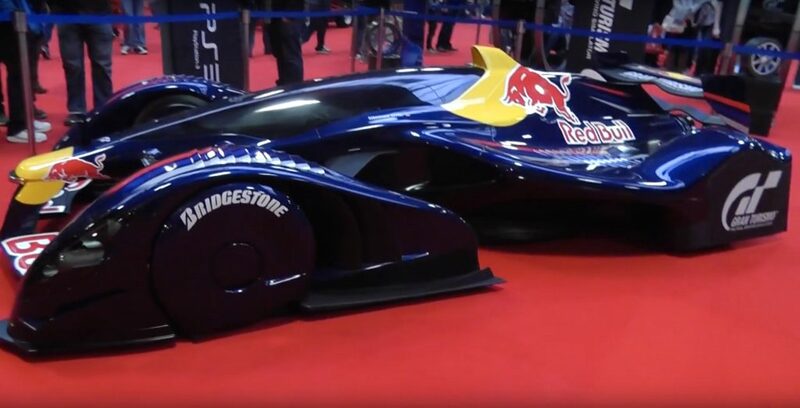 This model was developed as a homologated road-going version of the factory race cars used in the 12-hour endurance races held at Bathurst, New South Wales, beginning in 1991 for the 1995 event held at Eastern Creek, Sydney, New South Wales. An initial run of 25 was made, and later an extra 10 were built by Mazda due to demand. The RX-7 SP produced 274 hp and 263 lb·ft of torque, compared to the 236 hp and 217 lb·ft of the standard version. Other changes included a race-developed carbon fibre nose cone and rear spoiler, a carbon fibre 120 L fuel tank (as opposed to the 76 L tank in the standard car), a 4.3:1-ratio rear differential, 17-inch wheels, larger brake rotors and calipers. An improved intercooler, exhaust, and modified ECU were also included. Weight was reduced significantly with the aid of further carbon fibre usage including lightweight vented bonnet and Recaro seats to reduce weight to 1050 kg (from 1150 kg). It was a serious road-going race car that matched their rival Porsche 911 RS CS for the final year Mazda officially entered. The formula paid off when the RX-7 SP won the title, giving Mazda the winning 12hr trophy for a fourth straight year. The winning car also gained a podium finish at the international tarmac rally Targa Tasmania months later. A later special version, the Bathurst R, was released in 2001 to commemorate this, in Japan only. In the United Kingdom, for 1992, customers were offered only one version of the FD, which was based on a combination of the US touring and the base model. For the following year, in a bid to speed up sales, Mazda reduced the price of the RX-7 to £25,000, down from £32,000, and refunded the difference to those who bought the car before that was announced. The FD continued to be imported to the UK until 1996. In 1998, for a car that had suffered from slow sales when it was officially sold, with a surge of interest and the benefit of a newly introduced SVA scheme, the FD would become so popular that there were more parallel and grey imported models brought into the country than Mazda UK had ever imported. Series 6 (1992–1995) was exported throughout the world and had the highest sales. In Japan, Mazda sold the RX-7 through its Efini brand as the Efini RX-7. Models in Japan included the Type R, the top-of-the-range Type RZ, the Type RB, the A-spec and the Touring X, which came with a four-speed automatic reducing power to 252 hp. The others ran on the standard 261 hp engine with a five-speed manual gearbox. Only the 1993–1995 model years were sold in the U.S. and Canada. Series 6 came with 252 hp and 217 lb·ft. In the UK, only 124 examples of this model were sold through the official Mazda network. Only one spec. was available and it included twin oil-coolers, electric sunroof, cruise control and the rear storage bins in place of the back seats. In 1993, three North American models were offered; the “base”, the touring, and the R models. The touring FD included a sunroof, fog lights, leather seats, a rear window wiper and a complex Bose Acoustic Wave system. The R (R1 in 1993 and R2 in 1994–95) models featured stiffer suspensions, an aerodynamics package, purple-hued microfiber seats (which are sometimes erroneously considered to be suede), and Z-rated tires. In 1994, a PEG (performance equipment group) model was offered. This model featured leather seats and a sunroof. It did not include the fog lights or Bose stereo of the touring package. In 1995, the touring package was replaced by the PEP (popular equipment package). The PEP package contained leather seats, sunroof and fog lights, but didn’t have the Bose Stereo nor the rear window wiper. Series 7 (1996–1998) included minor changes to the car. Updates included a simplified vacuum routing manifold and a 16-bit ECU allowing for increased boost which netted an extra 10 PS (7 kW). In Japan, the Series 7 RX-7 was marketed under the Mazda and Efini brand name. The Series 7 was also sold in Australia, New Zealand and the UK. Series 7 RX-7s were produced only in right-hand-drive configuration. There are three kinds of “Spirit R”: the “Type A”, “Type B”, and “Type C”. The “Type A” is a two-seater with a 5-speed manual transmission. It features lightweight red trim Recaro front seats as seen in the earlier RZ models. The “Type B” has a 2+2 seat configuration and also sports a five-speed manual transmission. The “Type C” is also a 2+2, but has a four-speed automatic transmission. Of the 1500 Spirit R’s made, over 1000 were Type A’s. An exclusive Spirit R paint color, Titanium Grey, adorned over 700 of the 1500 cars sold.